On 11th December, 1959, Colonel J. C. King, chief of CIA's Western Hemisphere Division, sent a confidential memorandum to Allen W. Dulles, the director of the Central Intelligence Agency. King argued that in Cuba there existed a "far-left dictatorship, which if allowed to remain will encourage similar actions against U.S. holdings in other Latin American countries." As a result of this memorandum Dulles established Operation 40. It obtained this name because originally there were 40 agents involved in the operation. Later this was expanded to 70 agents. The group was presided over by Richard Nixon. Tracy Barnes became operating officer of what was also called the Cuban Task Force. The first meeting chaired by Barnes took place in his office on 18th January, 1960, and was attended by David Atlee Phillips, E. Howard Hunt, Jack Esterline, and Frank Bender. On 4th March, 1960, La Coubre , a ship flying a Belgian flag, exploded in Havana Bay. It was loaded with arms and ammunition that had been sent to help defend Cuba's revolution from its enemies. The explosion killed 75 people and over 200 were injured. Fabian Escalante, an officer of the Department of State Security (G-2), later claimed that this was the first successful act carried out by Operation 40. Operation 40 was not only involved in sabotage operations. In fact, it evolved into a team of assassins. One member, Frank Sturgis, claimed: "this assassination group (Operation 40) would upon orders, naturally, assassinate either members of the military or the political parties of the foreign country that you were going to infiltrate, and if necessary some of your own members who were suspected of being foreign agents... We were concentrating strictly in Cuba at that particular time." Over the next few years Operation 40 worked closely with several anti-Castro Cuban organizations including Alpha 66. CIA officials and freelance agents such as William Harvey, Thomas Clines, Porter Goss, Gerry Hemming, E. Howard Hunt, David Morales, Carl E. Jenkins, Bernard L. Barker, Barry Seal, Frank Sturgis, Tosh Plumlee, and William C. Bishop also joined the project. Cuban figures used by Operation 40 included Antonio Veciana, Luis Posada, Orlando Bosch, Rafael Quintero, Roland Masferrer, Eladio del Valle, Guillermo Novo, Rafael Villaverde, Carlos Bringuier, Eugenio Martinez, Antonio Cuesta, Hermino Diaz Garcia, Barry Seal, Felix Rodriguez, Ricardo Morales Navarrete, Juan Manuel Salvat, Isidro Borjas, Virgilio Paz, Jose Dionisio Suarez, Felipe Rivero, Gaspar Jimenez Escobedo, Nazario Sargent, Pedro Luis Diaz Lanz, Jose Basulto, and Paulino Sierra. Michael Townley was another CIA agent who was involved in organizing assassinations of political opponents. He became associated with a Cuban group called the Chicago Junta. This group included Frank Sturgis, Orlando Bosch, Antonio Veciana and Aldo Vera Serafin. According to Peter Dale Scott, this operational hit team was disbanded on 21st November, 1963, the day before John F. Kennedy was assassinated. The CIA also used the International Development's Office of Public Safety (OPS) to help establish right-wing military dictatorships. This included Daniel Mitrione who helped to overthrow President João Goulart in Brazil in 1964. According to Franco Solinas, Mitrione was also in the Dominican Republic after the 1965 US intervention. In 1967 Daniel Mitrione returned to the United States to share his experiences and expertise on "counterguerilla warfare" at the Agency for International Development (AID), in Washington. In 1969, Mitrione moved to Uruguay, again under the AID, to oversee the Office of Public Safety. At this time the Uruguayan government was led by the very unpopular Colorado Party. Richard Nixon and the CIA feared a possible victory during the elections of the Frente Amplio, a left-wing coalition, on the model of the victory of the Unidad Popular government in Chile, led by Salvador Allende. In 1969 the CIA arranged for Michael Townley to be sent to Chile under the alias of Kenneth W. Enyart. He was accompanied by Aldo Vera Serafin of the SAO. Townley now came under the control of David Atlee Phillips who had been asked to lead a special task force assigned to prevent the election of Salvador Allende as President of Chile. This campaign was unsuccessful and Allende gained power in 1970. He therefore became the first Marxist to gain power in a free democratic election. On July 31, 1970, the Tupamaros kidnapped Daniel Mitrione and an Agency for International Development associate, Claude L. Fly. Although they released Fry they proceeded to interrogate Mitrione about his past and the intervention of the U.S. government in Latin American affairs. They also demanded the release of 150 political prisoners. The Uruguayan government, with U.S. backing, refused, and Mitrione was later found dead in a car. He had been shot twice in the head but there was no evidence that he had been tortured. Michael Townley continued to try and undermine the government of Salvador Allende. The CIA attempted to persuade Chile's Chief of Staff General Rene Schneider, to overthrow Allende. He refused and on 22nd October, 1970, his car was ambushed. Schneider drew a gun to defend himself, and was shot point-blank several times. He was rushed to hospital, but he died three days later. Military courts in Chile found that Schneider's death was caused by two military groups, one led by Roberto Viaux and the other by Camilo Valenzuela. It was claimed that the CIA was providing support for both groups. David Atlee Phillips set Townley the task of organizing two paramilitary action groups Orden y Libertad (Order and Freedom) and Protecion Comunal y Soberania (Common Protection and Sovereignty). Townley also established an arson squad that started several fires in Santiago. Townley also mounted a smear campaign against General Carlos Prats, the head of the Chilean Army. Prats resigned on 21st August, 1973. His replacement as Commander in Chief was General Augusto Pinochet. On 11th September, 1973, a military coup removed Allende's government from power. Salvador Allende died in the fighting in the presidential palace in Santiago. General Augusto Pinochet replaced Allende as president. Soon afterwards Michael Townley was recruited by General Juan Manuel Contreras, the head of DINA, the new secret police. 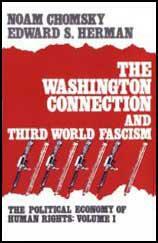 Townley's main task was to deal with those dissents who had fled Chile after General Augusto Pinochet gained power. This included General Carlos Prats who was writing his memoirs in Argentina. Donald Freed argues in Death in Washington: The Murder of Orlando Letelier that: "On September 30, 1974, shortly after the first anniversary of the violent overthrow of the Allende government, Townley and a team of assassins murdered Carlos Prats and his wife in Buenos Aires. Their auto was exploded by a bomb." James Abourezk, who represented South Dakota in the U.S. Senate, discovered that the Office of Public Safety had been training Latin America police to torture left-wing activists for many years. Abourezk made this information public and in 1974, Congress banned the provision by the U.S. of training or assistance to foreign police and the OPS was closed down. The CIA continued to fund the activities of agents like Michael Townley. Promoted to the rank of major by General Juan Manuel Contreras, chief of DINA (the Chilean secret police). Townley made regular visits to the United States in 1975 to meet with Rolando Otero and other members of the White Hand group. In September 1975, Townley's death squad struck again. Former Chilean vice-president Bernardo Leighton and his wife were gunned down in Rome by local fascists working with DINA. On 25th November 1975, leaders of the military intelligence services of Argentina, Bolivia, Chile, Paraguay, and Uruguay met, with Juan Manuel Contreras in Santiago de Chile. The main objective was for the CIA to coordinate the actions of the various security services in "eliminating Marxist subversion". Operation Condor was given tacit approval by the United States which feared a Marxist revolution in the region. The targets were officially leftist guerrillas but in fact included all kinds of political opponents. For example, in Argentina an estimated 30,000 socialists, trade-unionists, relatives of activists, etc. were murdered by the military government. Donald Freed claims that on 29th June, 1976, Michael Townley had a meeting with Bernardo De Torres, Armando Lopez Estrada, Hector Duran and General Juan Manuel Contreras Sepulveda. The following month Frank Castro, Luis Posada, Orlando Bosch and Guillermo Novo established Coordination of United Revolutionary Organizations (CORU). CORU was partly financed by Guillermo Hernández Cartaya, another Bay of Pigs veteran closely linked to the CIA. He was later charged with money laundering, drugs & arms trafficking and embezzlement. The federal prosecutor told Pete Brewton that he had been approached by a CIA officer who explained that "Cartaya had done a bunch of things that the government was indebted to him for, and he asked me to drop the charges against him." One Miami police veteran told the authors of Assassination on Embassy Row (1980): "The Cubans held the CORU meeting at the request of the CIA. The Cuban groups... were running amok in the mid-1970s, and the United States had lost control of them. So the United States backed the meeting to get them all going in the same direction again, under United States control." It has been pointed out that George H. W. Bush was director of the CIA when this meeting took place. Frank Castro told the Miami Herald why he had helped establish CORU: "I believe that the United States has betrayed freedom fighters around the world. They trained us to fight, brainwashed us how to fight and now they put Cuban exiles in jail for what they had been taught to do in the early years." The director of the CIA, George H. W. Bush, was quickly told that DINA and several of his contract agents were involved in the assassination. However, he leaked a story to members of Operation Mockingbird that attempted to cover-up the role that the CIA and DINA had played in the killings. Jeremiah O'Leary in the Washington Star (8th October, 1976) wrote: "The right-wing Chilean junta had nothing to gain and everything to lose by the assassination of a peaceful and popular socialist leader." Newsweek added: "The CIA has concluded that the Chilean secret police was not involved." (11th October). William F. Buckley also took part in this disinformation campaign and on 25th October wrote: "U.S. investigators think it unlikely that Chile would risk with an action of this kind the respect it has won with great difficulty during the past year in many Western countries, which before were hostile to its policies." According to Donald Freed Buckley had been providing disinformation for the General Augusto Pinochet government since 1974. He also unearthed information that William Buckley's brother, James Buckley, met with Michael Townley and Guillermo Novo in New York City just a week before Orlando Letelier was assassinated. In October, 1976, the midair explosion of Cubana Flight 455 flying out of Barbados killed all 73 people aboard. This included all 24 young athletes on Cuba's gold-medal fencing team. Police in Trinidad arrested two Venezuelans, Herman Ricardo and Freddy Lugo. Ricardo worked for the security agency owned by Luis Posada in Venezuela. He admitted that he and Lugo had planted two bombs on the plane. Ricardo claimed the bombing had been organized by Posada and Orlando Bosch. When Posada was arrested he was found with a map of Washington showing the daily route of to work of Orlando Letelier. It later emerged that George H. W. Bush, the director of the CIA, warned U.S. Congressman Edward Koch, in October, 1974, that his sponsorship of legislation to cut off U.S. military assistance to Uruguay on human rights grounds had provoked secret police officials to "put a contract out for you." 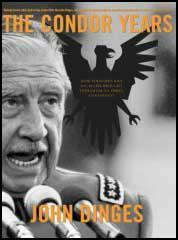 According to documents and interviews obtained by John Dinges for his book, The Condor Years (2004), the CIA station chief in Montevideo received information in July 1976 that two high-level Uruguayan intelligence officers had discussed their ability to have Chile's secret police, DINA, send agents to the United States to kill Koch. The station chief, identified in the book as Frederick Latrash, reported the conversation to CIA headquarters but recommended that the Agency take no action because the officers had been drinking at a cocktail party when the threat was made. Only after the assassination of Orlando Letelier did the CIA warn Edward Koch about the planned assassination and share the intelligence with the FBI and the State Department. Recently released documents show that the CIA had close contact with members of the Chilean secret police, DINA, and its chief Juan Manuel Contreras, who was the head of Operation Condor. In fact, Contreras was on the CIA pay-roll (it was later stated this was an adminstrative mistake). A 1978 cable from the US ambassador to Paraguay, Robert White, to the Secretary of State Cyrus Vance, was was released in November 2000 by the Bill Clinton administration under the Chile Declassification Project. In the cable Ambassador White reported a conversation with General Alejandro Fretes Davalos, chief of staff of Paraguay's armed forces, who informed him that the South American intelligence chiefs involved in Condor kept "in touch with one another through a U.S. communications installation in the Panama Canal Zone which covered all of Latin America". White feared that the US connection to Condor might be publicly revealed during the investigation into the murder of Letelier. John Dinges argues that "The paper trail is clear: the State Department and the CIA had enough intelligence to take concrete steps to thwart Condor assassination planning. Those steps were initiated but never implemented." Hewson Ryan, who worked for Henry Kissinger, later admitted that: "We knew fairly early on that the governments of the Southern Cone countries were planning, or at least talking about, some assassinations abroad in the summer of 1976… Whether if we had gone in, we might have prevented this, I don't know. But we didn't." The FBI eventually became convinced that Michael Townley was organized the assassination of Orlando Letelier. In 1978 Chile agreed to extradite him to the United States. Townley confessed he had hired five anti-Castro Cubans exiles to booby-trap Letelier's car. Guillermo Novo, Ignacio Novo, Virgilio Paz Romero, Dionisio Suárez, and Alvin Ross Díaz were eventually indicted for the crime. Michael Townley agreed to provide evidence against these men in exchange for a deal that involved him pleading guilty to a single charge of conspiracy to commit murder and being given a ten-year sentence. His wife, Mariana Callejas also agreed to testify, in exchange for not being prosecuted. On the 9th January, 1979, the trial of Guillermo Novo, Ignacio Novo and Alvin Ross Díaz began in Washington. General Augusto Pinochet refused to allow Virgilio Paz Romero and Dionisio Suárez, two DINA officers, to be extradited. All three were found guilty of murder. Guillermo Novo and Alvin Ross were sentenced to life imprisonment. Ignacio Novo received eighty years. Soon after the trial Michael Townley was freed under the Witness Protection Program. Details of Operation Condor was not fully exposed until 1992 when José Fernández, a Paraguayan judge, discovered what became known as the "terror archives", detailing the fates of thousands of Latin Americans secretly kidnapped, tortured and killed by the security services of Argentina, Bolivia, Brazil, Chile, Paraguay, and Uruguay. The archives provided details of 50,000 people murdered, 30,000 "disappeared" and 400,000 imprisoned. By August 1972 Plan September was underway. Townley, Vera Serafin, and their toughs were fighting police as the Pots and Pans marched again. A select Townley arson squad had been hard at work all through the spring. Townley's young freedom fighters were also active in middle- and upper-class residential districts organizing "security contingency" against the constantly predicted Marxist sacking to come. By August 21, Allende had declared a temporary state of emergency in Santiago, primarily because of the street violence and burnings. In Concepcion, the army took control of the city as P y L-staged violence provoked left-wing youth into street responses. On September 2, President Allende charged that there was something called Plan September, a conspiracy to overthrow the government. A radio station in the provincial capital of Los Angeles was identified as a right-wing propaganda front and ordered closed by the government. The station was, in fact, one of Phillips's assets being fed violent disinformation, composed by Callejas and others. The next radio station to be closed for forty eight hours, as violence spread, was Radio Agricultura, another component in the Phillips network, for whom Callejas also worked. Townley led bloody street fighting to protest the closings. On October 10, Plan September went into high gear. A nationwide truckers' strike started on that day and grew into a general protest against the government. It did not end until November 5, three days after Allende had been forced to revise his cabinet. In Langley and Rio, money and plans for the support and, in a number of instances, instigation of these strikes flowed through the fingers of David Phillips and Nathaniel Davis. By way of a dramatic compromise, President Allende shuffled his cabinet to bring a number of military officers into the government. Then he left to try to rally support outside of Chile. Jeremiah O'Leary, a Washington Star reporter long close to David Phillips, wrote: "Probers are not ruling out the theory that Letelier might just as well have been killed by leftist extremists to create a martyr as by rightist conspirators." Reported the Washington Post: "CIA officials say ... they believe that operatives of the present Chilean military junta did not take part in Letelier's killing, according to informed sources. CIA Director Bush expressed this view in a conversation late last week with Secretary of State Kissinger, the sources said. What evidence the CIA has obtained to support his initial conclusion was not disclosed." One of the more interesting interpretations of the case came from a "Special Report" produced by the Council for Inter-American Security, a right-wing think tank, and distributed to the national media. It was written by Virginia Prewett, the journalist who had a special relationship with David Phillips. The piece Prewett wrote about the Letelier bombing indicates why she was one of Phillips's most effective media assets. Prewett's "Special Report" was actually a diatribe against the Washington press for initially assuming that Chilean generals were involved in murdering Letelier. She, too, suggested that Letelier may have been sacrificed by leftists to turn world opinion and U.S. policy against the Pinochet regime. "Letelier was headquartered at and operated under the aegis of the radical leftist Institute for Policy Studies," she noted darkly. "Since the days of Stalin and Trotsky, intramural strife and expenditure of human life for political ends have been commonplace within the left." The orders to kill Letelier did, indeed, come from the highest levels of the Chilean government, through the head of DINA. Two high-level DINA officers carrying false passports were sent to the U.S. and they, in turn, contacted the anti-Castro Cubans who carried out the assassination. But the designer of the plan itself, the bomb maker and bomb planter, was the DINA agent in charge, Iowa-born electronics expert Michael Townley. Thirty-eight years old, tall and lanky with longish brown hair and a droopy moustache, Townley was the son of an American business executive who wound up as general manager of the Ford Motor plant in Santiago, Chile. Young Michael went back to the States to attend boarding school in Florida. He later worked as a mechanic among the Miami's Cuban exiles and returned to Chile just before Allende's election. He immediately became involved with the most radical opposition which, after Allende's overthrow, led to his connection with DINA. Both Townley and the CIA deny he was an agent, but Townley admitted contacting the Agency before he returned to Chile. Agency records also show he was given "Preliminary Operational Approval," the green light to be used as an asset. The Agency claims that approval was later canceled, but has never satisfactorily explained why. Townley eventually made a deal and testified against his DINA bosses and the five anti-Castro Cubans involved. He received a ten year sentence, served five and is now living under the Government's witness protection plan. General Pinochet refused to let the DINA bosses be extradited and the Chilean military courts refused jurisdiction. While there are no available records which indicate that David Phillips had any operational association with Michael Townley, it's quite likely. Townley, for instance, ran a clandestine radio station to broadcast anti-Allende propaganda during the period Phillips ran the CIA's anti-Allende operation. What is known is that Phillips and J. Vernon Townley were well acquainted in Chile. Both were active in the urbane Latin American subculture of American diplomats and affluent U.S. corporate executives and they were buddies at the same social club in Santiago. Operation Condor is the code name for the collection, exchange and storage of intelligence concerning leftists, communists and Marxists which was recently established between the cooperating services in South America in order to eliminate Marxist terrorists and their activities in the area. In addition Operation Condor provides for joint operations against terrorist targets in member countries.... Chile is the center for Operation Condor, and in addition it includes Argentina, Bolivia, Paraguay and Uruguay. Brazil has also tentatively agreed to supply input for Operation Condor. A third and more secret phase of Operation Condor involves the formation of special teams from member countries to travel anywhere in the world to non-member countries to carry out sanctions, including assassination, against terrorists or supporters of terrorist organizations from Operation Condor member countries. For example, should a terrorist or a supporter of a terrorist organization from a member country be located in a European country, a special team from Operation Condor would be dispatched to locate and surveil the target. When the location and surveillance operation has terminated, a second team from Operation Condor would be dispatched to carry out the actual sanction against the target. Special teams would be issued false documentation from member countries of Operation Condor. A source in Venezuela supplied the CIA with detailed intelligence on a fund raiser held for Orlando Bosch and his organization CORU after he arrived in Caracas in September 1976. The source described the dinner at the house of a Cuban exile doctor, Hildo Folgar, which included Venezuelan government officials. Bosch was said to have essentially asked for a bribe in order to refrain from acts of violence during the United Nations meeting in November 1976, which would be attended by Venezuelan President Carlos Andres Perez. He was also quoted as saying that his group had done a "great job" in assassinating former Chilean ambassador Orlando Letelier in Washington D.C. on September 21, and now was going to "try something else." A few days later, according to this intelligence report, Luis Posada Carriles was overheard to say that "we are going to hit a Cuban airplane" and "Orlando has the details." In the aftermath of the bombing of the Cubana flight, the CIA ran "traces" on dozens of anti-Castro exiles who might be linked to this atrocity. This document records the summaries of traces on the two exiles who had by then been arrested in Caracas, Orlando Bosch and Luis Posada. The CIA noted that agents had had multiple contacts with Bosch in 1962 and 1963; and the Agency acknowledged that it had employed Luis Posada starting in 1965 and that he was a "demolitions expert." The CIA also noted that he provided information to them on the activities of other exile groups. It censored a section of the document that described the services he performed for the CIA while a high official in the Venezuelan secret police, DISIP, between 1967 and 1974. Other CIA records show that the Agency continued to have contact with Posada until June of 1976, more than eleven years after he was first recruited. This is obviously the same Operation Condor that bears on the Pinochet case. But there are two additional "Operation Condors" that involve some degree of CIA complicity. These two are drug eradication programs. One was in Peru in 1985. It involved the DEA, CIA, and the Guardia Civil. This one is not suspicious; in fact, it appears that it was the Colombians and Peruvians who dubbed it Operacion Condor. The other Operation Condor is more curious. It was a drug eradication program in Mexico that began in 1975 and continued until 1985. Mexico's DFS was completely corrupt, and its chief, Miguel Nazar Haro, was a crucial CIA asset. Mexico contracted with Evergreen International Aviation, which had CIA connections too numerous to count, to fly the planes for herbicidal spraying, and two CIA people put together the contract. The program was overseen by the narcotics office at the U.S. State Department, but it was such a boondoggle that Mexico refused to let the U.S. fly over the spray zones to verify eradication. This is suspicious because the CIA was starting to disguise some of its counterinsurgency efforts with drug programs during the 1970s. In 1971, there was talk of secret BNDD assassinations authorized and budgeted from Nixon's White House (BNDD was the forerunner of DEA). A CIA legend, Lucien Conein, was helping E. Howard Hunt, another CIA legend, with White House dirty tricks in 1971. After Watergate, Conein was shunted off to the BNDD. He hired a number of former CIA officers and agents, and was widely reported to be organizing an assassination program. In 1974, Conein went shopping for assassination equipment with his old friend Mitchell Werbell III. Hunt recruited Cuban exiles in 1972 to "waste" Omar Torrijos in Panama, ostensibly because he protected heroin traffickers, but really because of his position on the Panama Canal. In the Foreign Assistance Act of 1974, Congress voted to abolish all Public Safety programs. The Office of Public Safety, ostensibly under the Agency for International Development, had become notorious in Vietnam as a cover for CIA operations. In Latin America, OPS was widely involved in assisting security services in their war against leftists. But the 1974 Act did not affect overseas operations of the Drug Enforcement Administration, which by 1975 had 400 agents overseas -- about the same number that OPS had deployed. So the DEA's programs suddenly became attractive for CIA operations that required the cover of "plausible deniability." Could this have been the real reason for the "Operation Condor" program in Mexico? Are the identical names a coincidence, or is it possible that one was intended as cover for the other? In 1968, as the CIA scaled back its Cuba campaign, Orlando Bosch's MIRR morphed into Cuban Power, a terrorist faction that, like the religious lunatic on the train in "On the Twentieth Century", stuck trademark red, white and blue stickers at the scene of the crime. On May 31, a Japanese freighter docked at Tampa and a British merchantman under way off Key West were racked by explosions. The following day, in Miami, a man calling himself Ernesto staged a press conference condemning countries doing business with Cuba and warned that "other ships are going to explode." Although Ernesto wore a sack over his head in the manner of a Mafia defector before a Senate hearing, he was easily identified as Bosch. That summer Cuban Power terrorism spread to Los Angeles, where an Air France office, the Mexico Tourist Department and the British consulate were bombed, and Manhattan, where the diplomatic and tourist agencies of six countries with normal relations with Cuba were hit, and a time bomb was found in the Air France facility in Rockefeller Center. For good measure, two bars frequented by pro-Castro Cubans were bombed, and the audience attending a play, "The Cuban Thing", at the Henry Miller Theater off Times Square were driven crying into the street by tear gas devices. But on September 16, 1968, Bosch was caught red-handed by FBI agents tipped off by an informant inside Cuban Power as he fired on the Polish motor ship Polancia at dock in Miami. Convicted of terrorism, he was incarcerated at the Marion Federal Penitentiary, where he played gin rummy with Rolando Masferrer, locked up for violating the Neutrality Act.When Bosch was released from prison in the fall of 1972 through the intercession of Florida politicians eyeing the exile-bloc vote, Republican Governor Claude Kirk rhapsodized, "When I think of free men seeking a homeland, I must necessarily think of Dr. Bosch." As it turned out, the mad bomber was free to resume his old ways, this time promising "an internationalization of the war." By early 1975 he was in Chile, where General Augusto Pinochet, whose junta had bloodily overthrown Allende, put him up in a government guest house while he conferred with Pinochet's secret police, the brutal DINA (National Intelligence Directorate), which was responsible for hundreds of desaparecidos during the dictatorship. "Bosch had a book on the life of Yasir Arafat with him," reported a Miami newsman who interviewed him there, "and an impressive stack of cash on the table." On September 21, 1976, Allende's ambassador, Orlando Letelier, an effective opponent of the Pinochet regime, was driving along Washington's Embassy Row when a radio-triggered bomb under his car exploded, killing him and a companion.As CIA director, George Bush was in the loop on this one: within a week the Agency knew that DINA and several CIA-connected Cubans were responsible. But it leaked an item to Newsweek reading, "The CIA has concluded that the Chilean secret police was not involved." The lie was put to that when DINA agent Michael V. Townley was arrested and convicted. Townley implicated two journeymen in Bosch's network, Guillermo Novo and Alvin Ross Diaz, who were tried and convicted, then acquitted at a retrial (when arrested in Miami, the pair was in possession of a pound of cocaine, a terrorist currency). And in 1993, after democracy returned to Chile, Manuel Contreras, the head of DINA at the time, was convicted of masterminding the Letelier murder. In a recent clemency petition, Contreras deposed that Pinochet approved and supervised all major DINA operations. Townley added the final touches to the bomb as Paz held the parts in place for him. Suarez read and talked. Townley planned to place the bomb under the driver's seat; he molded the plastique to blow the full explosive force directly upward. At about midnight he felt satisfied with his handiwork. The three left the motel in Paz's Volvo and stopped by the train station; Townley went to the ticket window to find out if there were any trains leaving for the New York area in the early morning hours. There were none. "During the ride to Letelier's house," he wrote, "I was informed by Paz and Suarez that they expected me to place the device on the car as they wished to have a DINA agent, namely myself, directly tied to the placing of the device." Townley kept quiet. He carried the bomb under his dark blue sweatshirt and wore corduroy pants. He hadn't planned on getting his pants dirty, but he had weighed the alternatives and decided he would have to tape the bomb himself. Paz drove into the street parallel to Ogden Court. Townley walked from behind two houses into the turn-around area of the cul-de-sac and surveyed the block. People were entering a neighboring house, "so I turned around, returning to the parallel street, and walked up the hill on this parallel street, until I met Paz and Suarez, at which time we drove around to take up some time and then returned to the entrance of Letelier's street, where I was dropped off at the top of the hill." On one side of the Leteliers lived an FBI agent; on the other, a Foreign Service officer. As Townley walked down the hill, some dogs barked, then stopped. Television screens glowed greyly through windows. Letelier's car was parked in the driveway, nose in. Townley walked directly to the car, lay down on his back on the driver's side, pulled up his blue sweatshirt to expose the bomb, put his tools in accessible positions, and slid under the car. The space was small, Townley large. Moving as little as possible, he attached the bomb to the crossbeam with black electrical tape, occasionally flicking on a pencil flashlight to check its position. Footsteps. Townley froze, trying to control his breathing. Not more than two inches separated him from the car chassis. The footsteps faded. He began to run tape from the speedometer cable to the explosive. What had seemed like an ample supply of tape now appeared scanty. He didn't want the bomb to slip or fall off. He heard the sound of an engine: a car was approaching with its radio on. He stopped again, perspiration now pouring down his face and soaking his hands and body. The radio became louder; it was a police band. Townley fought to stay calm. The radio got still louder; now he could see the tires from the corner of his eye. But the car moved on, turned around in the cul-de-sac, and picking up speed, left the block. Townley flicked the flashlight on. The bomb was firmly attached, even though he would have preferred to run more tape around the crossbeam. He began to slide out. But had he taped the slide switch into the "on" position? He might have covered it in the "off" or "safety" position. He slid back under and felt, trying to remember which side was on and which off. He found the nub; it was off. He pushed it until it clicked, then pressed the tape into the groove with his finger to prevent the switch from falling back. But electrical tape is pliant and may not hold the switch, he thought. Lack of time could lead to mistakes. Paz and Suarez had insisted that he place the bomb personally and that he do it that night. Townley felt a chill enter his sweat-laden body as he walked up the hill out of Ogden Court. The Cubans picked him up on the deserted corner and headed slowly onto River Road. Townley told them of his uncertainty about the switch being in the correct position. On March 6, 2001, The New York Times reported the existence of a recently declassified State Department document revealing that the United States facilitated communications among South American intelligence chiefs who were working together to eliminate left-wing opposition groups in their countries as part of a covert program known as Operation Condor. The document, a 1978 cable from Robert E. White, the U.S. ambassador to Paraguay, was discovered by Professor J. Patrice McSherry of Long Island University, who has published several articles on Condor. She called the cable "another piece of increasingly weighty evidence suggesting that U.S. military and intelligence officials supported and collaborated with Condor as a secret partner or sponsor." In the cable, Ambassador White relates a conversation with General Alejandro Fretes Davalos, chief of staff of Paraguay's armed forces, who told him that the South American intelligence chiefs involved in Condor "keep in touch with one another through a U.S. communications installation in the Panama Canal Zone which covers all of Latin America." This installation is "employed to co-ordinate intelligence information among the southern cone countries." White, whose message was sent to Secretary of State Cyrus Vance, is concerned that the U.S. connection to Condor might be revealed during the then ongoing investigation into the deaths of former Chilean foreign minister Orlando Letelier and his American colleague Ronni Moffitt who were killed by a car bomb in Washington, D.C. "It would seem advisable," he suggests, "to review this arrangement to insure that its continuation is in U.S. interest." The document was found among 16,000 State, CIA, White House, Defense and Justice Department records released last November on the Pinochet dictatorship in Chile, and Washington’s role in the violent coup that brought his military regime to power. The release was the fourth and final "tranche" of records released under the Clinton Administration's special Chile Declassification Project. "This document opens a pandora's box of questions on the U.S. knowledge of, and role in, Operation Condor," said Senior Analyst Peter Kornbluh, director of the National Security Archive's Chile Documentation Project. The Archive published a second document - a page from a CIA cable regarding Brazil's role in Operation Condor - that Kornbluh said contained information that could shed light on this issue. The undated page refers to "CondorTel" - the "communications network established by the Condor countries." Kornbluh pointed out that the entire next line has been censored by the CIA. The National Security Archive called on the U.S. Intelligence Community - NSA, CIA, DIA and other Defense Department bureaus at the U.S. Southern Command - to fully divulge their files on communications assistance to the military regimes in the southern cone.